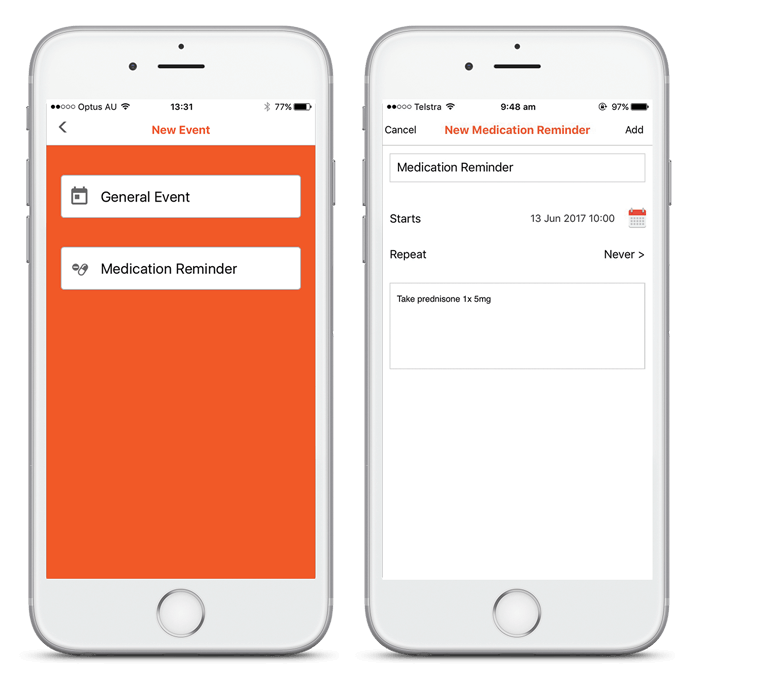 The Lumin Calendar allows Supporters to set general and medication reminders for the Lumin Screen user. This helps a lot in medication scheduling and adherence. To start, tap on the Lumin App icon. You can either set a General Reminder or a Medication Reminder. Let's choose Medication Reminder for this example. During set up, make sure details are complete. You can add on the notes if there are special instructions with this medication. Once you're done, tap on "Add". It's possible to edit reminders you've already created. Just tap on the reminder on your Lumin supporter app and modify the reminder then tap on "Update" when you're done. General reminders are set up almost the same way. The only difference is it has extra fields. You can set the end time for the reminder, you can opt to either have an alarm to go off on the time of the event or not. Setting the alarm is a good way to know if the Lumin screen user has seen the reminder and can acknowledge it by tapping "OK" on their screen.